Energy storage: the safety net for renewables - Peaxy, Inc. The knock on renewables from the very beginning has been the lack of contingencies for peak energy demand. What happens when there is no wind, or when the sun doesn’t bother to shine? When renewables were a small percentage supplier of energy to the grid, this was a problem to be solved at some later date. But we’re fast entering an era when renewables in states like California will account for a majority of a population’s energy needs (the current 50 percent target is still set for 2030). In that new world order, wind and solar farm operators will be relying on energy storage solutions to meet peak demand periods during the summer or during maintenance and other downtimes. While there are a number of competing technologies in this area – solid-state batteries, flow batteries, flywheels, pumped hydro, power-to-gas, thermal and compressed air – the jury is still out on which one will win the day. By far the most mature tech is solid-state batteries. Lithium-ion battery makers like Tesla are putting some of their chips on the battery storage industry, building the Gigawatt factory in Nevada. He’s even won a bet with the Australian government that he could build the world’s biggest battery farm in record time. 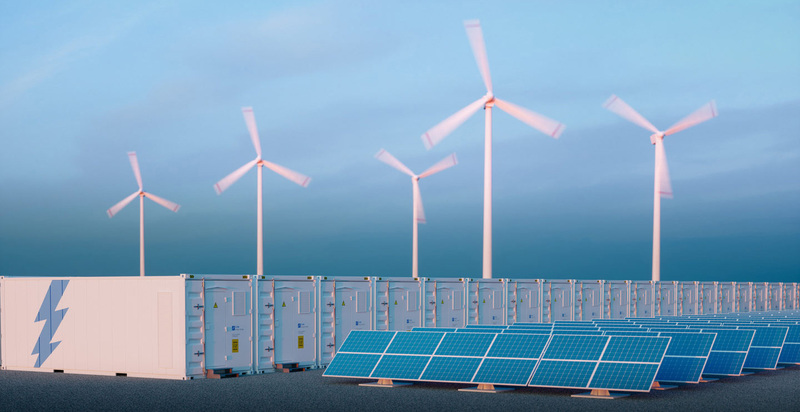 The real question that remains is not whether these energy storage facilities will be built, but how the data that’s streamed from them will be aggregated and analyzed. Accurate modeling and simulations of battery capacity and degradation might make the difference between a project being financially feasible or not. Wind and solar farm operators will be looking for a data access solution that gives them predictive power about how much energy will be available, and when. Those companies that think ahead and create data access strategic plans to complement facility plans will gain a competitive edge in what is already a very competitive industry.